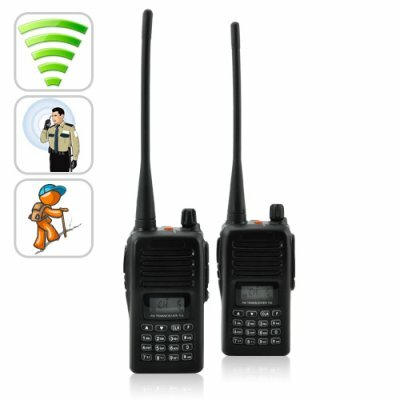 Successfully Added Long Range Walkie Talkie Set (UHF, 220v) to your Shopping Cart. This is really nice product. Tested it for distance and ~5KM is not a problem - good signal and clear sound. It's indeed compatible with Kenwood, but I couldn't get software to run with them, so I did manual programming (instruction had few mistakes, but after some logic it wasn't a problem). the porto isnt very good more than that. radio is very sensitive and works very well but user manual is not very good to read,hope chinavasion can improve it. Very good product. Work perffek! !